About: Jocelyn Benson, a Democrat, is Michigan's secretary of state. She is in her first in office after winning election in November 2018. She defeated Republican Mary Treder Lang in the general election. Benson previously ran for secretary of state in 2010, losing to Republican Ruth Johnson. According to her campaign website, Benson was most recently CEO and executive director of the Ross Initiative in Sports for Equality, a national nonprofit. She has also served on several national boards including the advisory board of iCivics, a non-profit founded by retired U.S. Supreme Court Justice Sandra Day O’Connor, according to the website. 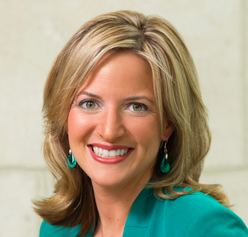 Benson raises money through a candidate committee, Jocelyn Benson for Secretary of State. The committee launched in February 2009 for Benson's first run for secretary of state.